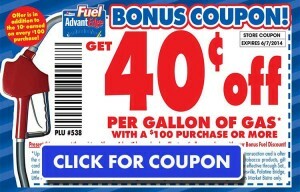 In case you missed the 4 double any $1 coupon from this past Sunday’s paper or used them already, Price Chopper is offering two more doubler coupons PLUS a coupon for .40 cents off per gallon of gas when you spend $100. These coupons are in today’s Times Union but you can also print them HERE. 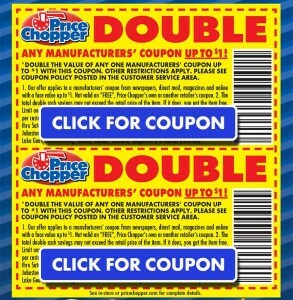 Limit of two of these $1 doubler coupons per day now through Saturday. This entry was posted in Coupon, Price Chopper. Bookmark the permalink.